Are You Fired Up for Fall? 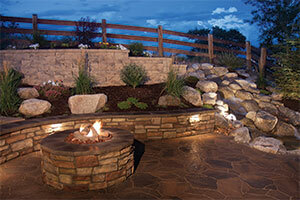 Cooler nighttime temperatures don’t have to put an end to outdoor enjoyment. With a backyard fire pit or fireplace, you can extend the use of your outdoor living space well into the fall and even winter. Depending on your goals and budget, there are all sorts of options in both styles and materials to meet your specific needs. 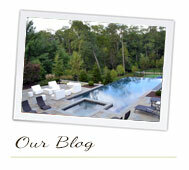 Generally speaking, fire pits are more casual than fireplaces and lend themselves more easily to entertaining. They radiate more heat and can keep more people cozy in chilly weather. If you’re looking for portability, free-standing, cast-iron fire pits with wheels can easily be moved out of the way when not in use. Or, if you’d like something more permanent, you might consider an actual pit dug into the ground with a gravel bottom and natural stones around the perimeter. If you desire a more formal look, fireplaces can be constructed out of brick, stone and even concrete in a variety of colors. Venting hoods, shelves for decorative items and storage space for wood can be incorporated to improve both looks and functionality. For added appeal, the space around an outdoor fireplace can be designed to mimic a comfortable and inviting living room setting. Though they’re a bit more costly than fire pits, fireplaces are an excellent way to increase the resale value of your home. 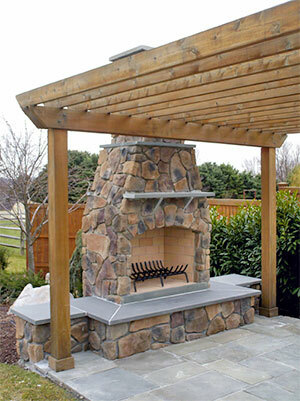 With an outdoor fire pit or fireplace, you’ll be providing fire for all to admire! 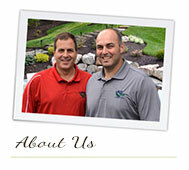 If you haven’t been out to the Blue Tree site recently (www.bluetreelandscaping.com), you’re in for a big surprise! We’ve given the site a major overhaul in order to give our visitors a more complete look at what we do. 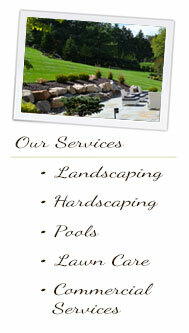 Many of our customers think of us as their landscaping company. 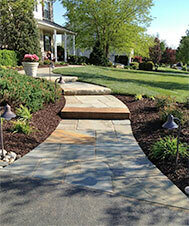 While that’s true enough, these days, landscaping doesn’t just mean routine lawn maintenance. We offer a variety of services from landscaping to hardscape (patios, retaining walls, fire pits), to outdoor lighting solutions to in ground pool installation. We’ve come a long way in our 30+ years in business. Our updated website now more accurately reflects the scope of our service. And while you’re at it, take a look at what some of our customers have said about our service. 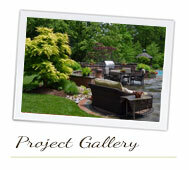 Browse through our online photo gallery. You might get some good ideas for your next project! Blue Tree is also on Facebook. Yes, we’re really embracing technology! 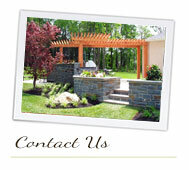 You can find us at www.facebook.com/BlueTreeLandscaping. We will be bringing you regular updates on what’s happening at Blue Tree, along with some great tips about making your outdoor space all that you want it to be. Stop by. Like us.